Dundonnel Canyon, Scotland this is a canyon for the experienced Scottish Canyoneer. 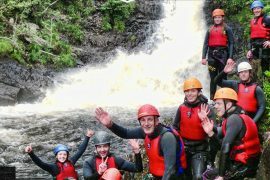 This is the pinnacle of Scottish canyoning and reflecting that we only consider customers with previous canyoning experience. This is the canyon to work towards and when it reveals its self, wow, worlds class canyoning. 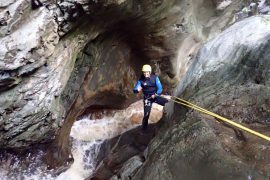 You will be part of a real canyoning team as this canyon has only a handful of descents and can still throw unexpected challenges at you. Dundonnel canyon is a deep glen that creates some of the most stunning canyon features ever seen in Scotland. 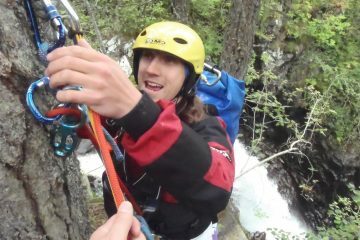 This canyon requires full-on commitment; after the first abseil you are in and the adventure begins. With technical rope work, sumps and sheer sided slot drops your heart will be racing and the adrenaline flowing. 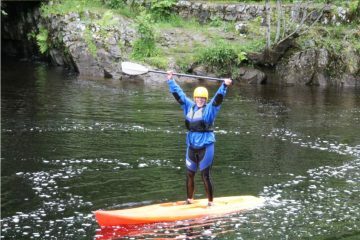 This canyon commands huge jumps, long wet abseils and narrow swims. This trip is a full day but we would recommend it as part of a weekend trip due to its location. 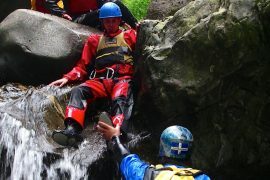 Previous canyoning experience is essential and a very good sense of adventure is required. There is truly no other way to see the beauty that nature keeps hidden than from the bottom of a canyon, down here nature reveals her true beauty. Experience the path less trodden. 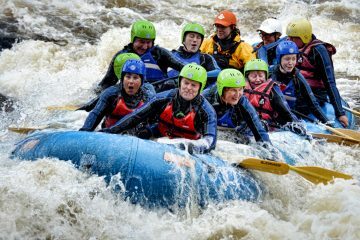 Bring your GoPro or waterproof camera to capture the experience. 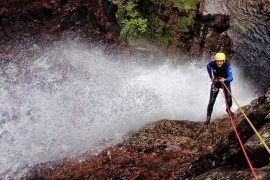 We take groups of up to 6 into this canyon – all members of the group must satisfy the canyoning guide that they are confident and suitably prepared for the trip, you MUST have been on a number of canyon trips before. BRING Ankle supports boots, swimwear, towel. These canyon requires some climbing or down-climbing, jumps, and/or swims. These canyon requires abseils (rappels), ropework, some climbing or down-climbing, jumps, and/or swims. These canyon requires abseils (rappels), ropework, technical climbing or down-climbing, technical jumps, and/or technical swims.